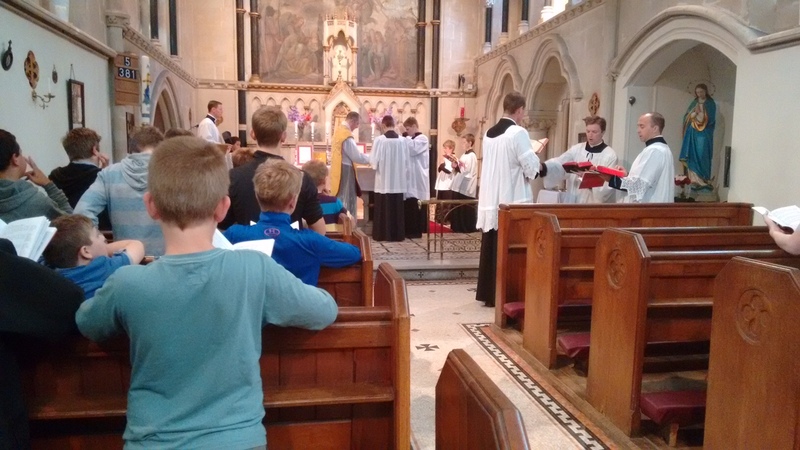 The Summer Session of the Faith Movement this week has seen young adults from all over the UK enjoying lectures, sport and social activities, daily Mass and other spiritual provision. One of the encouraging things about it is that every year there are newly-ordained priests and deacons along with a large number of seminarians progressing through their training at various colleges. I visited yesterday and attended the lecture given by this year's visiting speaker, Mgr Keith Newton, the Ordinary of the Personal Ordinariate of Our Lady of Walsingham. Mgr Newton gave an account of his personal experiences as an Anglican and the motivation which led him to seek full communion with the Catholic Church. During the question time, Fr Roger Nesbitt, who has done so much over the years to invite and encourage Anglican clergy to come into full communion, gave a warm appreciation of what the Ordinariate has brought to the Catholic Church in England and Wales. During the past couple of decades, many summer initiatives have been developed, especially for young people. Last weekend, my neighbour, Fr Marcus Holden, was at the Evangelium conference, before that, the Summer School of the St Catherine's Trust welcomed youngsters (11-18) for a programme of lessons and other activities. I asked one young girl what she enjoyed most. She said "Sewing and Greek." I think I recognise one of the servers from this picture at the FSSP England Facebook page. These events and others like them share a commitment to solid, orthodox catechesis and the reverent celebration of the sacred Liturgy, as well as offering a healthy environment for young people to meet and make friends among fellow Catholics who share their faith and usually, the experience of having to stand up and be counted. May the Lord bless us with vocations to the priesthood and the religious life as well as many more good Catholic lay apostles.